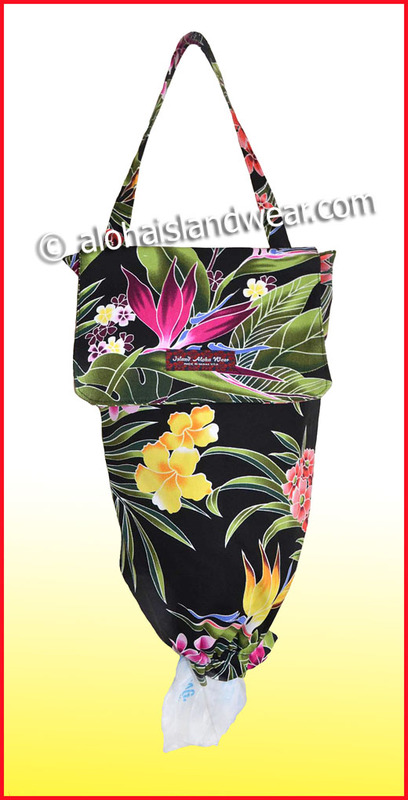 This beautiful Hawaiian print bag is designed for grocery plastic bag organize holder and dispenser, it's made with durable canvas material, grocery bags are inserted from the top of this bag, it can be hand around kitchen, bathroom, laundry room or behind the door... organize your grocery bags or handling around your kitchen or bathroom as decoration. Great gift for family, housewife, bags savers. Please recycle your plastic bag and save the planet. Thank you. This bag has: - A flip cover on the top to secure those plastic bags from slip out. 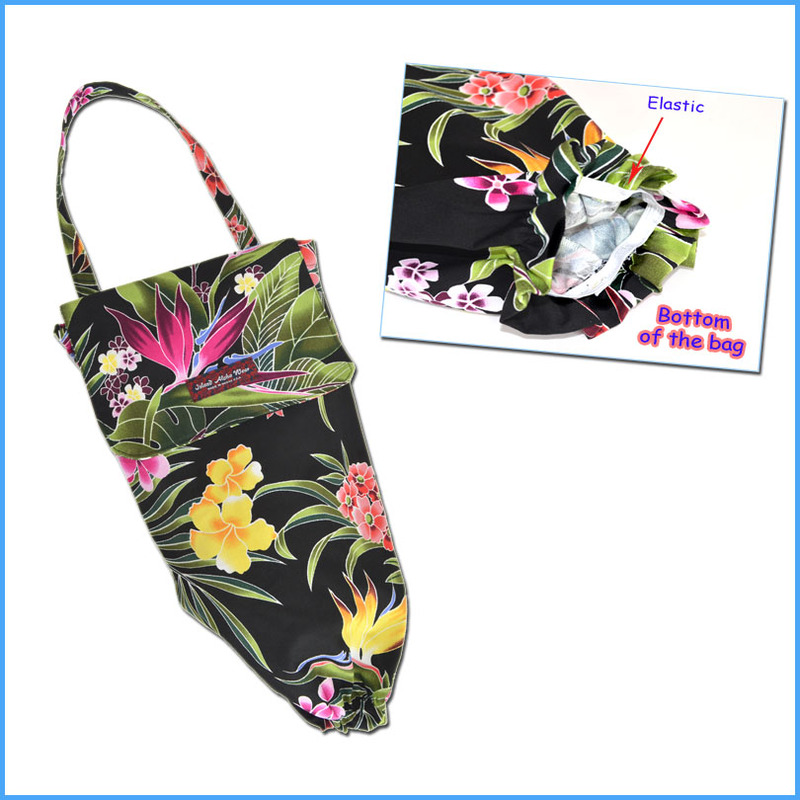 - An elastic at the bottom end for bags dispense. - A matched Hawaiian print handle for handling, 3/4" wide and 8" drop length.